You'll be £30.00 closer to your next £10.00 credit when you purchase British Steam Locomotive Builders. What's this? From the early 1800s and for nearly 170 years, steam locomotives were built in Great Britain and Ireland, by a variety of firms, large and small. James Lowe spent many years accumulating a considerable archive of material on the History of the locomotive building industry, from its early beginnings at the dawn of railways, until the end of steam locomotive construction in the 1960s. 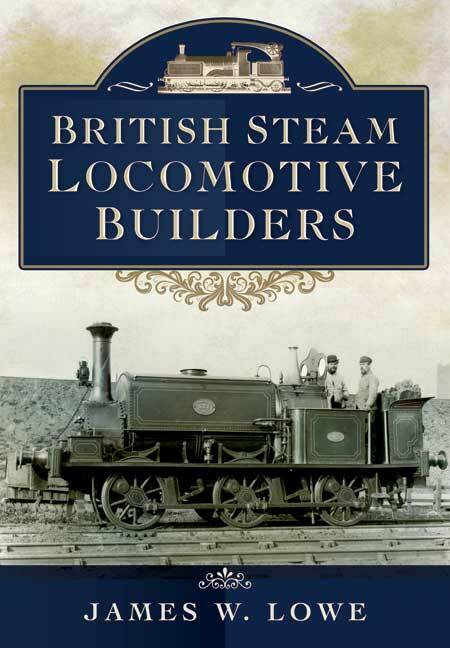 British Steam Locomotive Builders was first published in 1975 and has not been in print for some years. This useful and well researched book is a must for any serious railway historian or locomotive enthusiast, 704 pages with reference to 350 builders, 541 illustrations and 47 diagrams. The material in this book has been carefully selected to cover all the leading former steam locomotive manufacturers in the British Isles. If we add to this the enormous visual file that accompanies the work composed of 596 photographs and drawings in black and white, there is no doubt that we have in our hands another masterpiece of knowledge. The Bible of steam locomotives. Even the most knowledgeable enthusiasts and historians will find some surprises when reading this book, it really is that comprehensive. It is one of those rare reference works where it will answer every question.